An introduction to pressing contemporary issues and debates concerning bioethics in France and the Francosphere. Discusses issues such as euthanasia, genetic engineering, artificial intelligence, animal experiments and transhumanism, and culminates in the presentation and defense of student-devised projects. Taught in French. 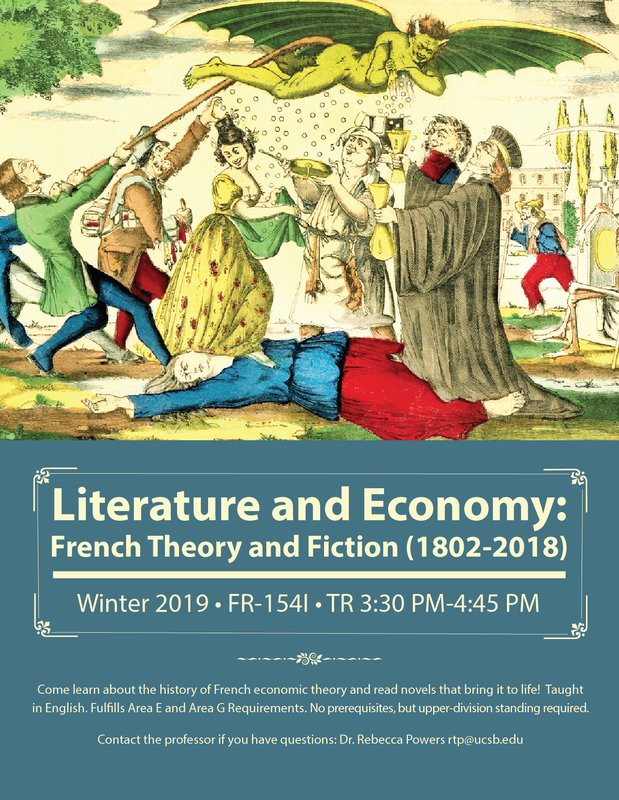 You'll learn about the history of French economic theory and read novels that bring it to life. The course is an Introduction to major schools of economic thought in the modern Francophone world and will study fictional and non-fictional representations of economic theories including liberalism, socialism, neocolonialism, globalism. Readings from J.B. Say, Frédéric Bastiat, Marcel Mauss, Thomas Piketty, Ken Bugul, Virginie Despentes, and others. In English.